The Private Life of William Pitt (1759-1806): Why was Pitt referred to as "A noonday eclipse"? I feel there needs to be an explanation for why I’ve entitled my Pitt the younger website “A Noon Day Eclipse.” This is a rather obscure reference to Pitt which Ralph Creyke refers to when he wrote a letter of condolence to William Wilberforce on January 25, 1806 (two days after Pitt’s premature death at the age of only 46). When Mr Creyke spoke of Pitt as 'a noon day eclipse,' the analogy forcefully reminds us of Pitt’s untimely passing after such a prominent and long-term career at the head of British politics. Writing from Bath on January 25, 1806, Creyke writes to Wilberforce that he had only recently seen Pitt walk along the South Parade (Pitt had been in Bath only several weeks prior to his death in order to “take the waters” in the hope of a cure for his latest bout of ill health). Creyke, like many others, was surprised by Pitt’s death as, although he had been intermittently and repeatedly unwell for years, there was no alarming indications that he was a dying man until the last few weeks of his life. Therefore, it came as a shock, right in the middle of the Napoleonic Wars, to lose one of Britain’s greatest men. Powerful words. I feel that Pitt’s memory deserves more attention and reverence, hence my reasoning for beginning this blog. What more could Pitt have achieved had he not died in January 1806? This website is my dedication to this misunderstood man. 1. Wilberforce, W. (1840) The Correspondence of William Wilberforce, Volume 2. London: Albemarle Street, pg. 63-64. 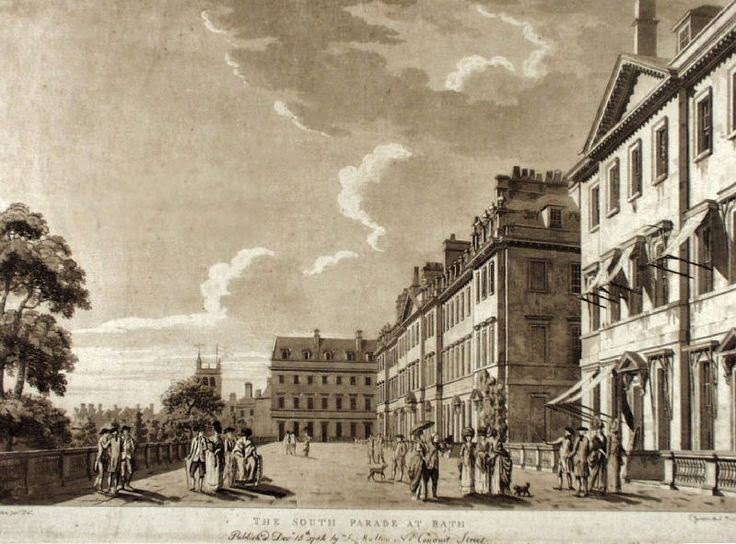 Figure 1: The South Parade at Bath; print by James Gandon (1784). Pitt was often seen walking down South Parade whilst in Bath. He was spotted doing so by Ralph Creyke, a friend of Wilberforce, in late 1805. Accessed here.